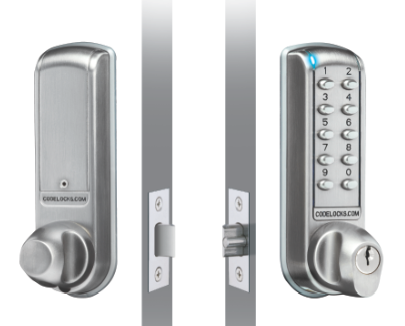 This week we’ve put one of our most popular coded door locks under the product spotlight. One of the main reasons for the popularity of locks in the CL2000 range is the fact that they use the same fixing holes as the majority of single-code mechanical locks – allowing users to easily upgrade from mechanical to electronic functionality. There are three keyless entry locks in the CL2000 range, all made from zinc alloy, with a knob handle, which are suitable for installing on wooden doors. 1) The CL2200 is an electronic surface deadbolt available in brushed steel. When a valid access code is entered the knob handle will retract the bolt. 2) The CL2210 is an electronic mortice deadbolt – a medium duty lock available in brushed steel or polished brass. 3) The CL2255 is an electronic tubular mortice lock ­– when the door closes the spring latch will automatically lock the door. It is available with three different backset latch options. 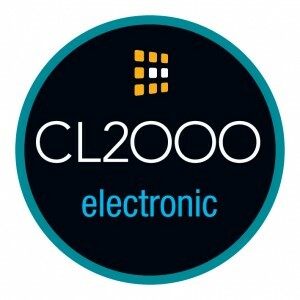 It only takes about 10 minutes to take a single-code mechanical lock off the door and replace it with an electronic lock from the CL2000 range. The only additional drilling required is for the extra hole for the battery cable. To see just how easy the process is, follow our step-by-step video guide. Here is some feedback from a customer using products from the CL2000 range. “The new push button door locks have enabled us to control access issues while making improvements to security. The new routine is much more convenient for everyone; staff no longer have to leave a room in order to answer the main door and parents don’t have to wait outside. The locks are easy to fit and easy to programme, and make a huge difference to the smooth day-to-day running of the nursery. Nicola Barkhouse, Nursery Manager, Tigers Day Nursery, Thatcham. Full details of the case study can be found here. ← Which locker locks are best for securing lockers at gyms or health clubs?